Vectorworks includes numerous industry leading product catalogs in its content libraries. These catalogs provide our software users with thousands of ready to use product symbols, images, and textures, that are easily incorporated into their: architectural, interior, landscape, or entertainment designs. The following libraries are just a part of the many catalogs and featured content available, and we would like to recognize those companies for their contributions. Spotlight, lighting instrument symbols. Gobos and Gels for entertainment lighting effects. 111 realistic high resolution wood textures. Arroway Textures is a manufacturer of high-res textures, which are used in many areas of digital visualization, e.g. architecture, design and art. Over 2000 paint color choices in an easy to use color palettes. Provider of commercial lavatories, washroom accessories, shower accessories, patient care units as well as many types of dispensary accessories. This library contains 50 3D/hybrid symbols from Chauvet's Professional line and 18 symbols from their ILUMINARC line. Coblands Nurseries are growers of high quality plants for the landscape and garden design industry. They are the providers of the UK plant data in the Landmark Plant Database. Plumbing fittings including 2d/3d symbols of: baths, bidets, faucets, lavatory sinks, kitchen sinks, showers, toilets, and whirlpools symbols. 3rd party developer of plant imagery - This sampler library includes a dozen additional photorealistic 3d Image Prop plants in both high and low resolutions. Entertainment aluminum truss systems symbols . Spotlight Gobos and Gels for entertainment lighting effects. Catalog of Girsberger office furniture 3d/hydrid symbols. Greenscreen makes modular plant trellising systems that can be freestanding or wall mounted. Greenscreen makes modular plant trellising systems that can be freestanding or wall mounted. This 3d/hybrid symbol library allows many configurations to be made using greenscreen parts. 3rd party developer of plant imagery. The Xfrog plant library contains 186 species with several different views, including top, elevation, seasonal, and growth views. Each species is represented as a 3d image prop. These plants are all available in photorealistic, black and white, and some in ”artistically" stylized versions. Haddonstone architectural cast stone balustrading. This includes 3d/hybrid symbols of balusters, piers, caps, rails, plinths and copings. All symbols are textured and have attached product data. A library of classic modern home/office furniture and a library of some of their HMI's 'Typicals' systems office furniture. All symbols are hybrid (2d/3d) symbols. Entertainment lighting instruments and truss systems symbols. A collection of classic modern furniture from the KnollStudio collection. Each furniture symbol is detailed in 3D and pre-textured. This collection contains more than 200 symbols of classic furniture designs by Mies van der Rohe, Breuer, Saarinen, Gehry, and others, with lounge chairs, side chairs, otto-mans, sofas, loveseats, bar stools, side tables, dining tables, conference tables, and more. Over 680 plumbing fixtures, including 2d/3d: baths, bidets, faucets, lavatory sinks, kitchen sinks, showers, toilets, and whirlpools symbols. Spotlight lighting instruments and camera filters for film, television, theatre, architectural lighting and stills photography markets. A library containing the Loewen door and window product lines in 2d/3d parametric objects. A library containing the Marvin door and window product lines in 2d/3d parametric objects. Monrovia Nurseries are the providers of the North American plant data in the Landmark Plant Database. mtextur provides an abundance of high-quality textures of real materials. 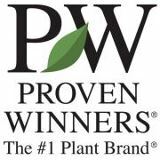 Proven Winners is the leading brand of high-quality flowering plants providing Landmark users access to 600 plants in the Landmark Plant Database along with +100 pre-configured plant style objects with built-in image props of shrubs, perennials, and annuals. This library contains 150 high quality concrete and natural stone paver textures from RINN. 175 paver patterns for landscape design. Photorealistic 3d plants made from low polygon count geometry and high resolution texturing. A library containing Vitra 3D/Hybrid Furniture symbols based on furniture designed by Ray & Charles Eames. It contains 63 products (46 chairs, 7 tables, etc.). A library containing the Weather Shield door and window product lines in 2d/3d parametric objects.